Luke, Mitchell’s best friend also came with us. We love Luke as though he were our own son. He misses Mitch. It was a sacred night of love and remembering. At the end Kristin asked if it would be appropriate to have a closing prayer – which I volunteered to give. I thought I’d be able to keep it together but found myself immediately broken inside as I struggled to utter a word. My eyes filled with tears as words stuttered and fumbled out of my mouth. I was overwhelmed with gratitude and sorrow, faith and heartache. 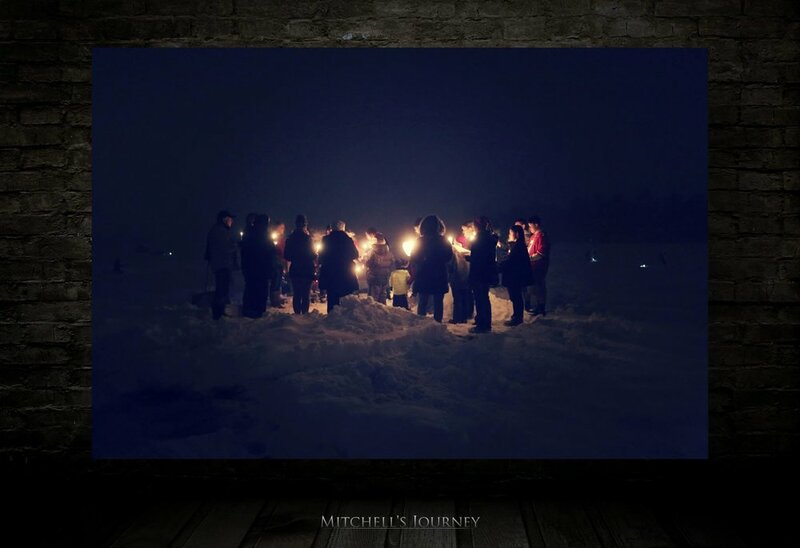 Eventually I was able to find a few words and thanked God for gift of Mitch and asked that we would remember my son’s goodness and somehow find ways to pay that goodness forward. 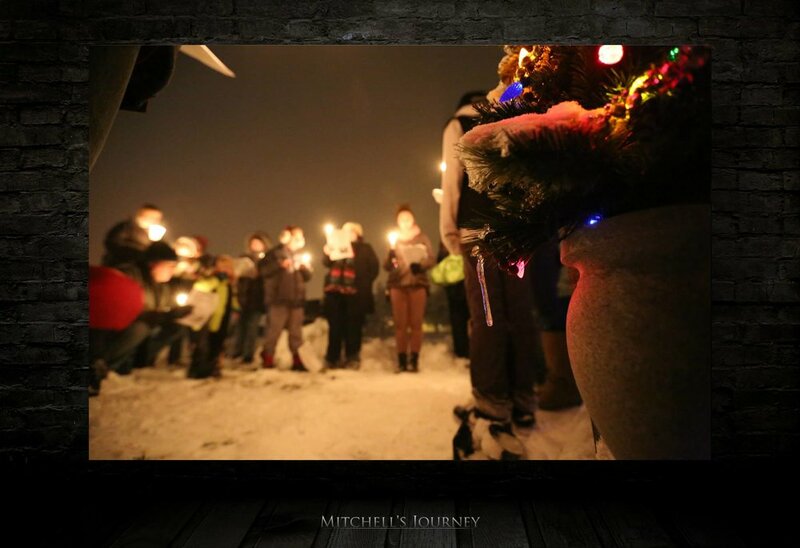 Mitch loved Christmas, he loved family, and he loved to love. My heart was both heavy and light. A thick fog had crawled across the landscape and it seemed as if the city lights and the hustle of world had all but disappeared … one could scarcely see past the cemetery. The fog had drawn focus to what was happening at that moment … all we could see was my son’s burial plot and each other. It was beautiful and strangely comforting. It was a goldilocks event; the songs were perfect and thereweren’t too many … it was just right. 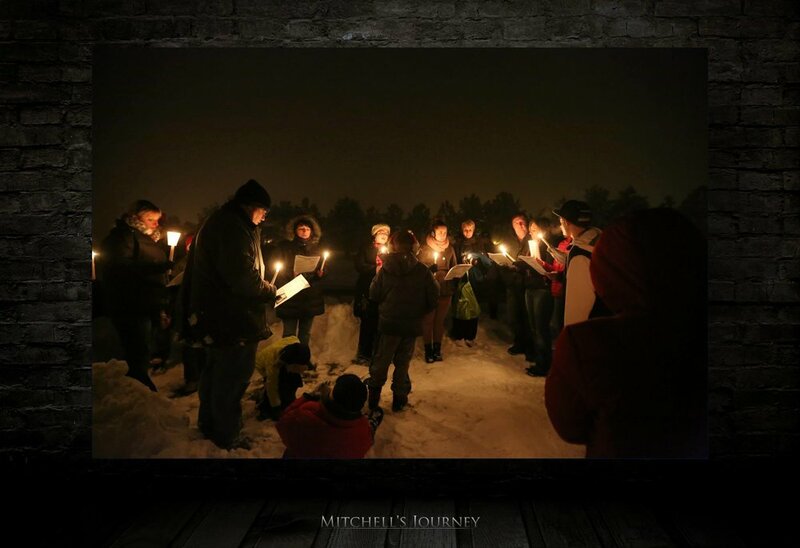 The carols started with some of Mitchell’s favorite holiday jingles and gradually became more spiritual in nature. I found myself on the perimeter a bit because I was emotional but also wanted to capture what was happening with my camera. It was a beautiful evening and while our bodies were cold, our hearts were warm. A local restaurant owner gave our family hot chocolate. 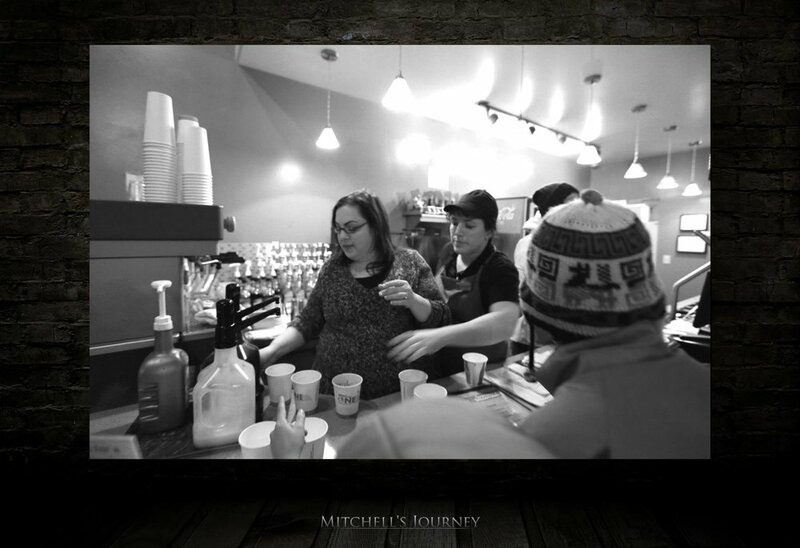 She was such a kind and compassionate woman and has been following Mitchell's Journey. We were so touched by her goodness and generosity.